What is an acoustic wave? 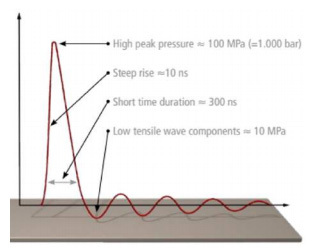 An acoustic wave is a strong pressure wave in any elastic medium that creates significant changes in pressure. 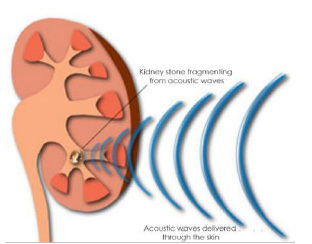 Acoustic waves alter the mechanical, electrical and thermal properties of solids and thus, have recently been found to aid in the healing process within the body. 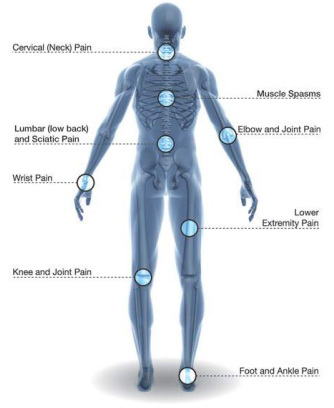 Rather than the use of light (laser treatment), thermal energy (ultrasound techniques) or electrical stimulation (PEMF or e-stim), Acoustic Wave Therapy (AWT) helps to promote healing by delivering mechanical energy to an affected area. AWT, however, consists of several continuous sound waves (or acoustic pulses) which have high amplitude, are very short in length and place negative tension on the body’s tissues. Laser therapy is a type of treatment that uses intense beams of light. AWT uses sound waves (or acoustic pulses) instead, which are pressure waves similar in nature to thunder and lightning or an airplane breaking the sound barrier. 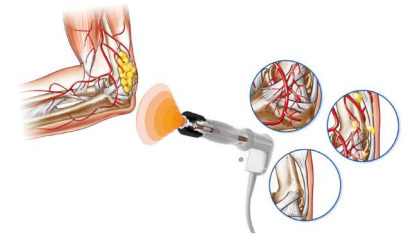 A non-invasive probe is applied to the skin. An electrical charge creates an energy wave, which is focused on the injury or area of concern. The acoustic waves create a force on the tissues, which can induce healing. 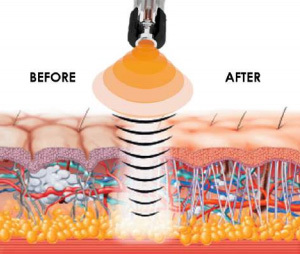 Acoustic Wave Therapy was first developed in the 1960s after first being discovered during World War II. Its first medical use was to break down kidney stones (which was a medical breakthrough for its time), as surgery was extremely invasive to the body. By the 1980s, after decades of use on kidney stone removal, AWT technology was fine-tuned to be used therapeutically—by assisting in the repair of damaged tissues in the body. Treatment with the use of AWT eventually made its way to Canada in the late 1990s, and is now widely used in therapy clinics in the U.S. and across the globe today. Almost immediately upon receiving treatment, many patients may notice improvements such as a reduction in pain and/or increased mobility. These results may generally last for 5-8 days but some slight discomfort could, in some cases, return prior to a patient’s next scheduled treatment. Most patients, however, could become free of discomfort over the following 2-3 weeks, when the body’s natural healing process begins to take place. On average, healthcare providers currently using AWT at their practices have reported an approximate 75% rate of complete recovery among their patients. Acoustic Wave Therapy may aid in the treatment of acute, chronic or painful soft tissue lesions of the musculoskeletal system.